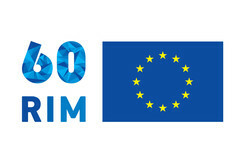 This year the 60th Anniversary of the Rome Treaties will be celebrated. Within this 60 years, we all built up an Europe of peace, cooperation, respect for human dignity, liberty, democracy, and equality. Through the founding of the Treaties of Rome a common market was established, where people, goods, capital, and services can move almost free. Don't miss any Event and get further information from the Delegation of the EU in Serbia here!